You're paying for Prime; get the movies you want on your Android! If you’re an Amazon Prime member, you can easily access all of your Prime videos right on your Android device. Here’s how to start watching Amazon Prime Video on Android devices. Before you can watch Prime Video on your Android, you need to download and install the appropriate Amazon Prime Video app. If you've already installed the Prime Video app, skip ahead to learn how to use the app to watch Amazon Prime content on Android devices. On any Android phone or tablet, tap the Play Store icon to open it. Tap Install once you find the right app. It currently uses a light blue and black color scheme with the Amazon arrow at the bottom. The app will be downloaded and installed onto your phone or tablet. After your app has downloaded, tap Open from the installation screen to launch the app, or press the Home button on your phone or tablet, then find the app by swiping to the right screen. If you don’t see it, tap the Apps icon and find it in the full list of apps. Take a moment to add it to your Android’s home screen where you can conveniently access it in the future. You now have quick and easy access to Prime Video on your Android device. Find the Prime Video app on your phone or tablet and tap it to open. You can select videos to watch from the home screen to start watching instantly, or tap Included with Prime below the main banner to view videos included in your Prime membership. You can also search for, rent, or buy many other titles that aren’t included in your Prime membership. Tap the picture of the movie, show, or video you’d like to watch, then tap Watch Now to begin streaming Prime Video directly on your phone or tablet. 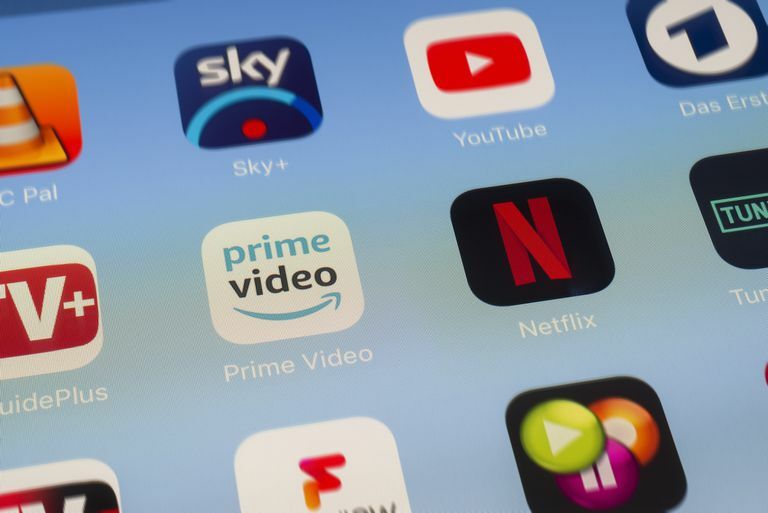 If you’ve got a plane trip or won’t have access to a data connection, you can download almost any video included with Prime to watch offline. The download option is only available to paying Prime members. It is not available for Amazon Household members with shared Prime benefits. Find the Included with Prime video you want to download. This must be a video included with your Amazon Prime membership. Tap the icon of the video. Select the download quality you’d like. The higher the quality, the more storage space it will require on your phone or tablet. When you’re ready to watch, open the Prime Video app and tap the Hamburger menu, represented as three horizontal lines. Tap Downloads to see the list of downloaded movies and play the movie just as you would if you were streaming it. Use Prime Video app to control a Fire TV device: If you’ve registered a Fire TV device to your Amazon account, tap Watch on Fire TV after selecting a video, then turn on your TV to the right input and watch. Connect your phone or tablet to your TV: See How to Connect Your Android Smartphone/Tablet to Your TV to learn how to properly do this. You can stream up to three different Amazon Prime videos simultaneously on different Android devices using the same account. However, you can only stream the same title on one device at a time.